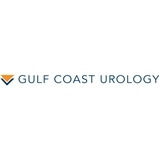 Gulf Coast Urology (Houston) - Book Appointment Online! Dr. R. Robert Dhir is a board-certified urologic surgeon whose practice serves patients in Downtown Houston as well as the Clear Lake / League City area. He earned his undergraduate and medical degrees from Georgetown University and was awarded honors in pre-medical studies, urology, orthopedics, and ophthalmology during tenure in Washington, DC. Dr. Dhir served as chief resident during his urological surgical residency at University of Texas at Houston/ MD Anderson Cancer Center. He continues to train surgical residents at the Downtown campus and at The Institute for Rehabilitation and Research (TIRR) in the Medical Center. With nearly 10 years of clinical medicine experience, Dr. Dhir’s expertise includes stone disease, BPH (enlarged prostate), urological cancers (kidney, bladder, prostate), and Men’s Health (infertility, erectile dysfunction, low Testosterone). Doctor was very personable and very knowledgeable.